While Marvel’s “Avengers: Age Of Ultron” is crushing it at the theaters around the planet, Samsung Mobile has revealed a fantastic new Iron Man, limited edition Galaxy S6 phone. The phone features Iron Man’s signature red and gold color palette and comes with a bevy of Iron Man-esque detailed featured including custom fonts, Iron Man icons and more. The highly desirable gadget comes with a VERY cool wireless charger designed to resemble Iron Man’s ARC reactor. Now, before you run out to a store looking for this one it is currently only available oversees. As of today, May 27th, 2015 it is available in Korea and will be available in China and Hong Kong this June. We are hopping that they make their way stateside SOON! Here is the official press release. 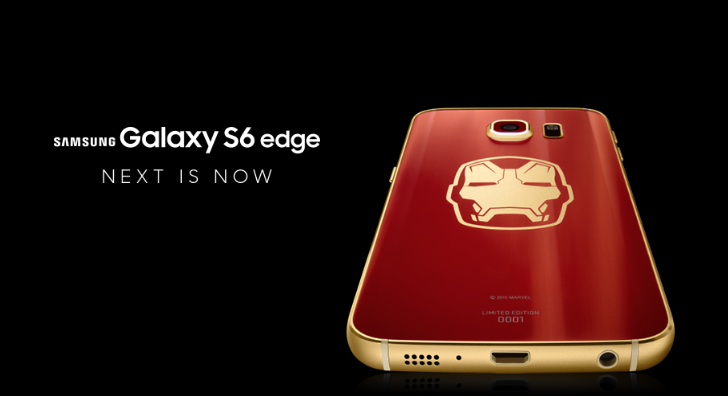 Samsung Electronics Co., Ltd. today announced the Galaxy S6 edge Iron Man Limited Edition in collaboration with Marvel. 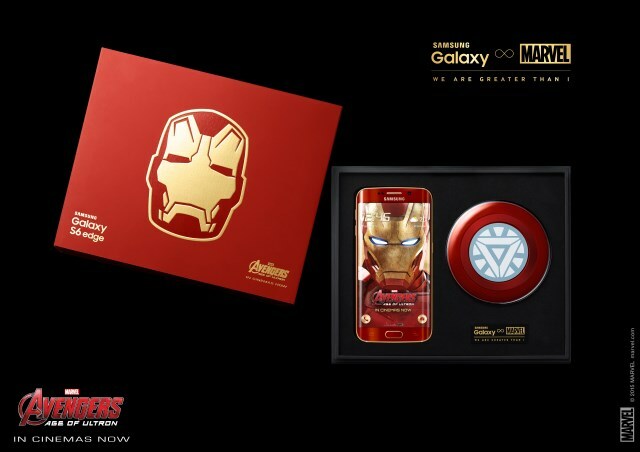 Samsung and Marvel have come together in celebration of the technological innovation and creative visual storytelling in Marvel’s Avengers: Age of Ultron to introduce this limited edition of the Galaxy S6 edge. 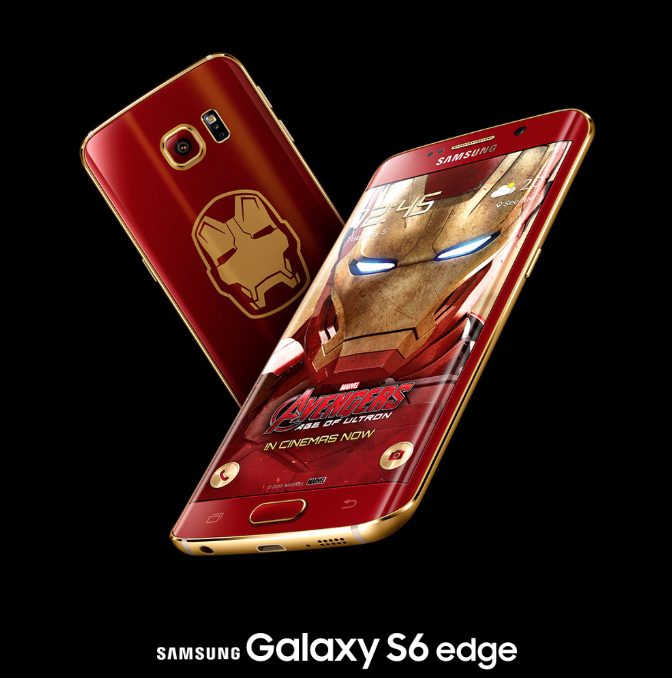 The Galaxy S6 edge Iron Man Limited Edition package is equipped with a vibrant red and gold Iron Man-themed Galaxy S6 edge including 64GB of storage and matching wireless charger, as well as a clear cover that enhances the device’s exclusive design. This entry was posted in Gadgets, Marvel, Super Heros, Tech and tagged Galaxy S6, Iron Man, Limited edition, Marvel, Samsung, smartphone, Tony Stark. Bookmark the permalink.